Enter your pie and compete against bakers in the community. 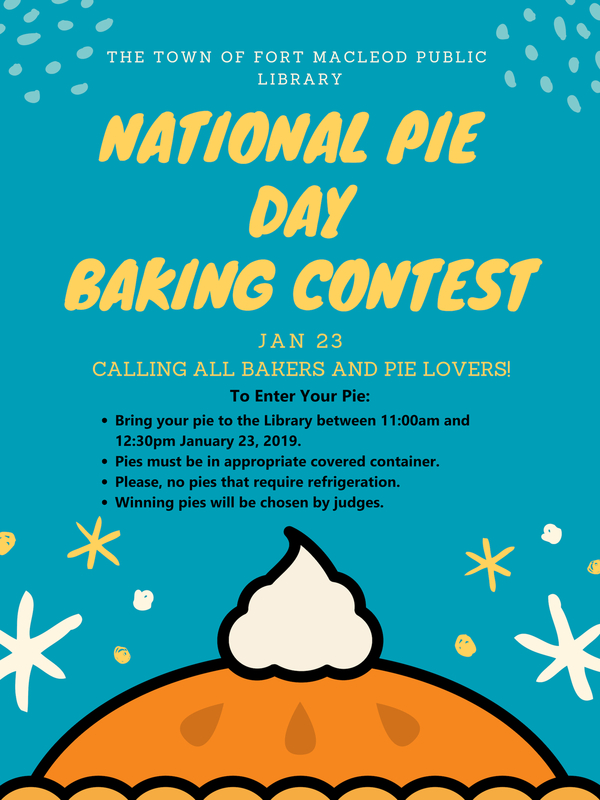 Bring your pie to the Library between 11:00am and 12:30pm January 23, 2019. Pies must be in appropriate covered container. Please, no pies that require refrigeration. Winning pies will be chosen by judges.